It’s the time of year when there are so many opportunities to live your life in love and service. So much need. So many outlets. And often the holidays can be lonely times, but if you are giving to others who are makes you feel so good. So it’s a win, win. 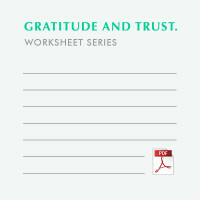 Today’s Wednesday Worksheet helps you organize how you will give back this Holiday Season! Breathing is everything. I know that is kind of a lame statement. But it is true. Stop breathing and you die. Breathing, along with keeping you alive it regulates so many things. When I get excited my breath speeds up, sometimes I miss breaths. I also know when I want to calm myself down I start slowing my breath down and it works. When I want to not respond and think something through, I stop and take three deep breaths. So often my breathing is the horse that pulls the cart of my actions and reactions. It is an indicator of how calm, cool, collected and serene I am. Let’s take a few minutes and investigate our core memories. Ever since seeing Inside Out I have been very taken with this idea. We can have memories and not erase them or numb them, we can even voice them, but they do not have to influence our every move or response. And knowing what some of them are can help us gain greater self-knowledge, own our own personal truths, but not let them guide us in the wrong direction. That is a quote by Robert Lowell. I was talking to a group of students over the weekend. I was advising them on their futures and how to handle things. I said go forth and fail without fear. Fear holds us back and the number one thing we are afraid of is failure. So go out there and just do it. Fall on your face. Pick yourself up. That is how you grow. Take on that thing you are the most frightened of. So this week, write down the things you are really afraid of. What are you not doing because fear is holding you back? And then start tackling them one by one. Since we have been discussing TO Do Lists. I want to share something I started doing. I added sections on my TO DO list for things that are good for me as opposed to only the daily tasks at hand. We tend not to place the same importance on the things we do for our bodies, minds and souls as we do on things like Bank, Market,Take Dogs To Vet. But it’s just as important to write down and check off the things we do that keep us centered, peaceful and healthy. My list now looks something like this…. As an exercise make up your own TO DO list, but add the specific things that help and improve your life in all ways. If we make them part of our TO DO’s – we will tend to do them with more consistency. They will then become our habits! It’s one thing to read the book, follow the site and sometimes write in and comment – but then there is putting pen to paper and making those lists… checking them twice and figuring out in black and white, if you’re being naughty or nice. So, in order to help you do that we now have a section here on the site called Working It. No, it does not take the place of the gym! But it will help you use the affirmations, chart your progress, make notes on yourself, or others if you so desire, set goals, even write down what you are grateful for. 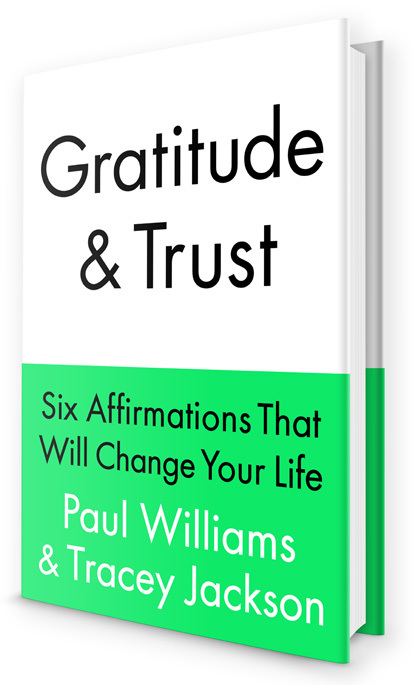 Let’s just say we are now making it possible for you to make your own personal Gratitude and Trust workbook. Each week we will send out a task, a question, something to hopefully light a spark under your subconscious or just jolt you into action. Hey, we all need that! There’s also a blank PDF template you can download and print up and use in any way you want. It’s all part of living your life in gratitude and trust!